The Moving Ahead for Progress in the 21st Century Act - or MAP-21 - is bringing new transportation regulations geared toward updating and standardizing the safety and training requirements for school bus drivers. Ultimately, these changes will help schools and districts come into compliance with federal laws that will make students and staff safer while on the road. During this on-demand webinar, the School Bus Safety Company will break down the new regulations to better explain what MAP-21 means; how it will affect school bus training in 2019, 2020 and beyond; and how to bridge the gap between your current safety & training program with the new topics and mandates under the MAP-21 regulations. Providing home-to-school transportation and access to school programs is becoming increasingly complex. The expansion of foster care and homeless student services, continued budget constraints, and expanded educational program offerings are stretching traditional transportation networks to, and in many cases beyond, their limits. Transportation directors are increasingly going to have to look at alternatives to their existing resources to find a way to provide the services their communities expect. Finding the right partner can make your job easier while also improving the level of service you are able to deliver. There are new options and technology available for today’s school bus transmissions. 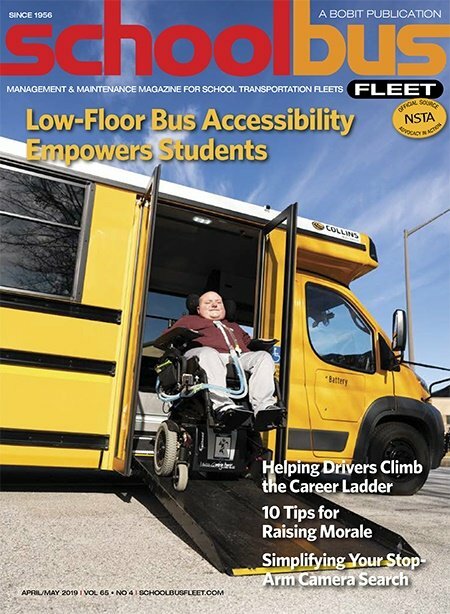 Alison Thomas discusses the latest trends and helps you to better understand what’s critical to choosing the right product for your school bus fleet.